Introducing a breakthrough in automatic print inspection for simplicity of use - 4sight technology. 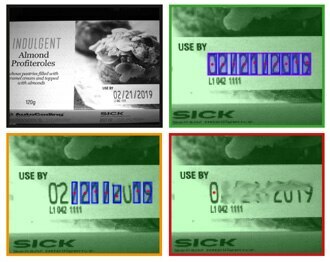 SICK has been at the forefront of vision innovation for many years and now, in partnership with AutoCoding Systems, has released the latest technology to make sure tailored solutions for Industry are available. Utilising the latest Vision Technology from SICK, with the InspectorP series cameras and the AppSpace programming environment, the 4Sight solution is a genuine first for automatic print inspection. AutoCoding’s 4Sight software, powered by SICK AppSpace, is a true industry breakthrough, using new and innovative methods for print inspection. As well as working seamlessly with AutoCoding, the 4Sight system works either stand-alone or connected to a printer code deployment system or other application. The solution can also work with any brand of printer and associated technology. The 4Sight system has been created from the ground up with print inspection in mind. The design takes steps to maximise performance whilst at the same time allowing varying degrees of control and functionality through scalable thresholds. The results can be tiered from print presence through to full OCR; the required software is resident on the camera.